"First Edition" stated on the copyright page. Year of publication stated on the title page. Month of publication from Locus #205 (October 1977). The copyright page includes the Library of Congress Cataloging in Publication Data but includes on a different part of the page the ISBN (0-385-12682-4) and the LCCN (76-50782). Gutter code "S27" on page 205 indicates a printing in July, 1977. 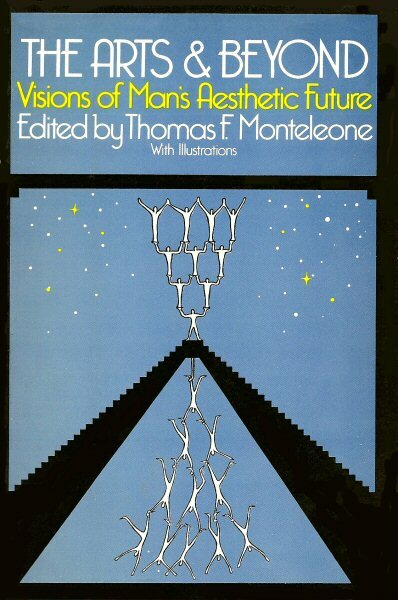 The cover is titled The Arts & Beyond: Visions of Man's Aesthetic Future. The 12 illustrations are on 6 unnumbered plates (an illo on each side) bound into the book between pages 38-39, 110-111, and 158-159.